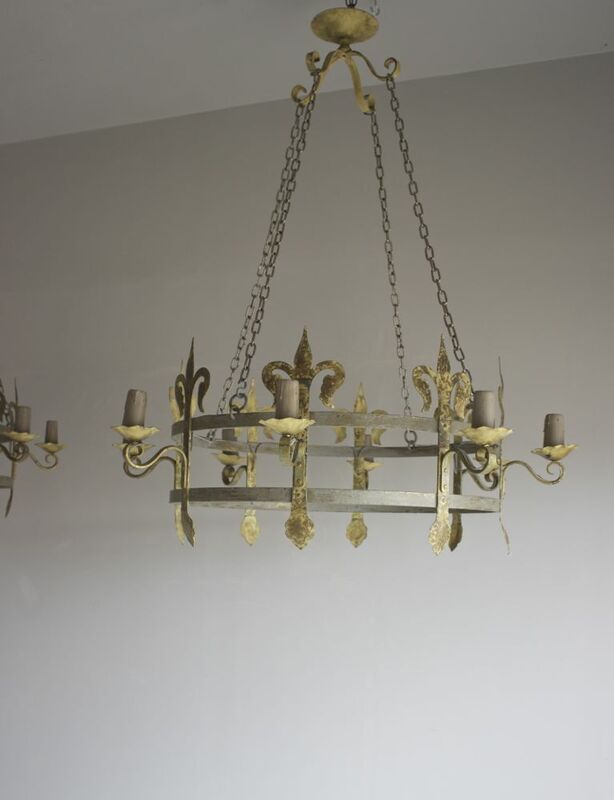 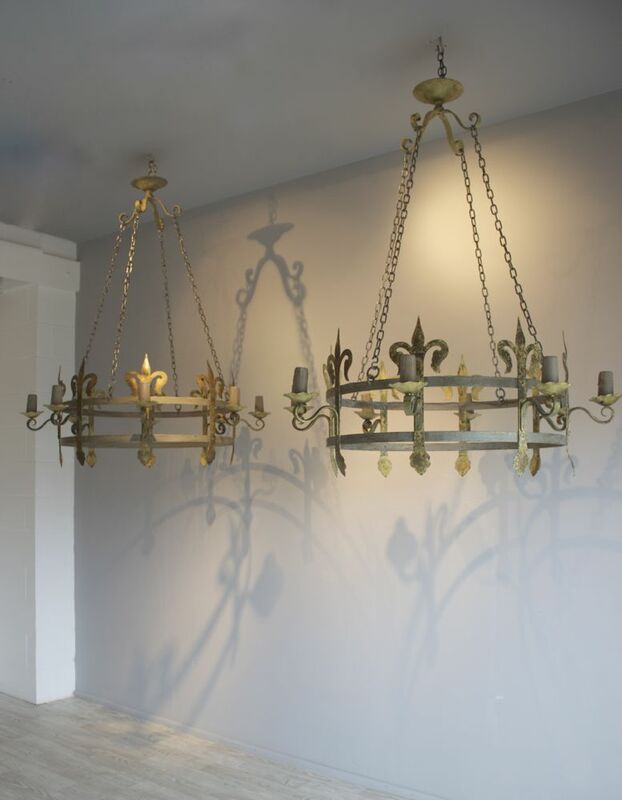 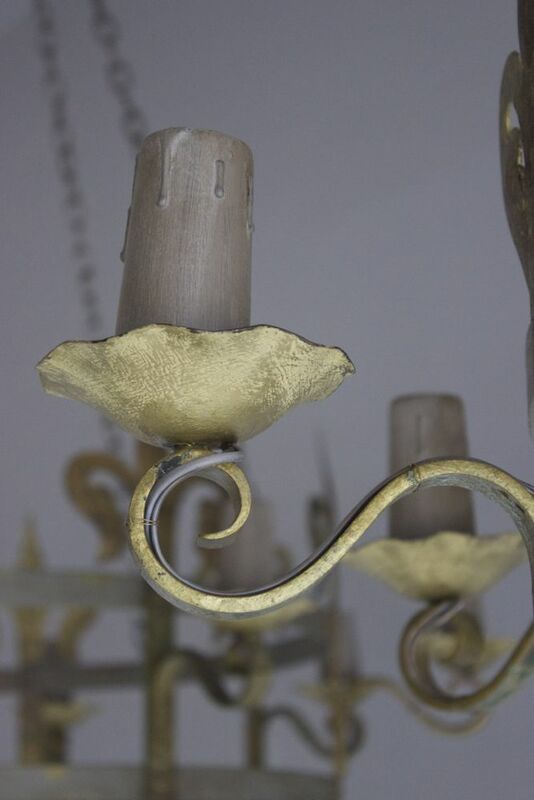 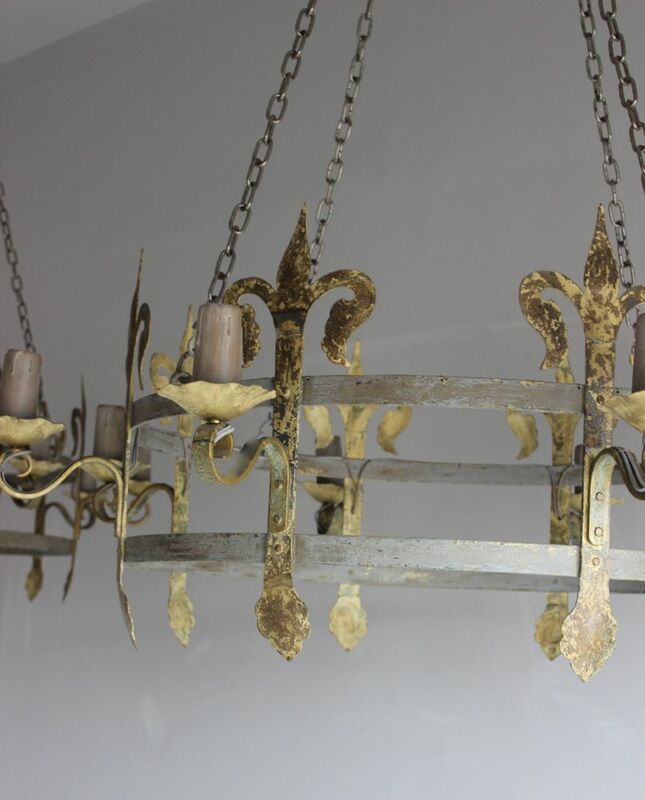 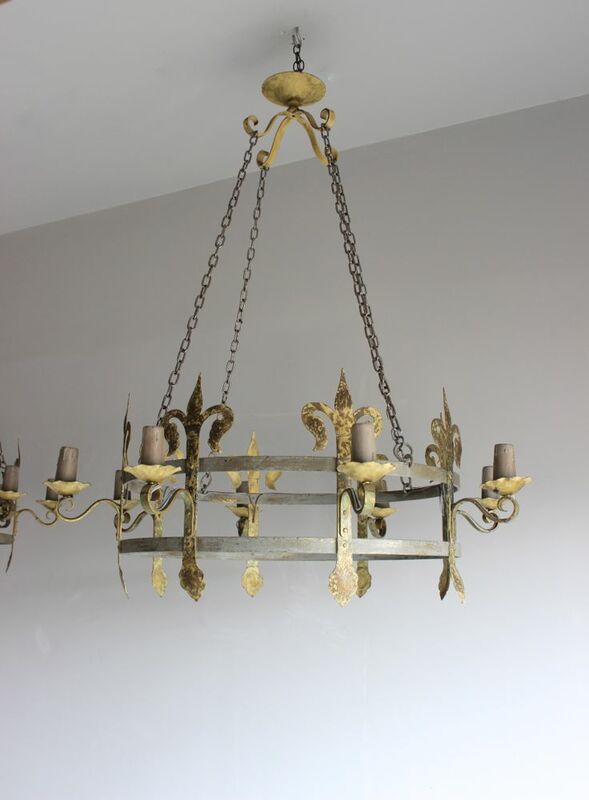 A large pair of antique 'barn style' original painted chandeliers each with 8 arms, the chain currently allows for a 143 cm drop from the ceiling plate (which matches) to the base of the decorative fleur de lys. 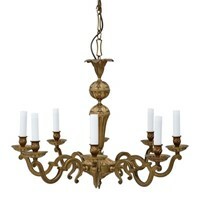 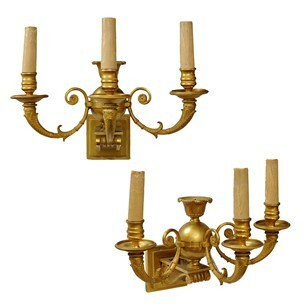 These are stunning and would make a very impressive statement in any large barn conversion, or large space. 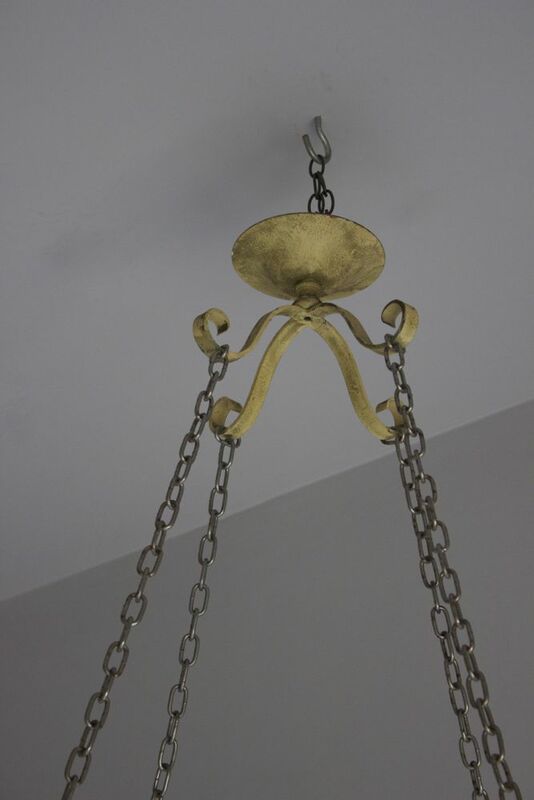 Chains can be shortened or lengthened to client spec. 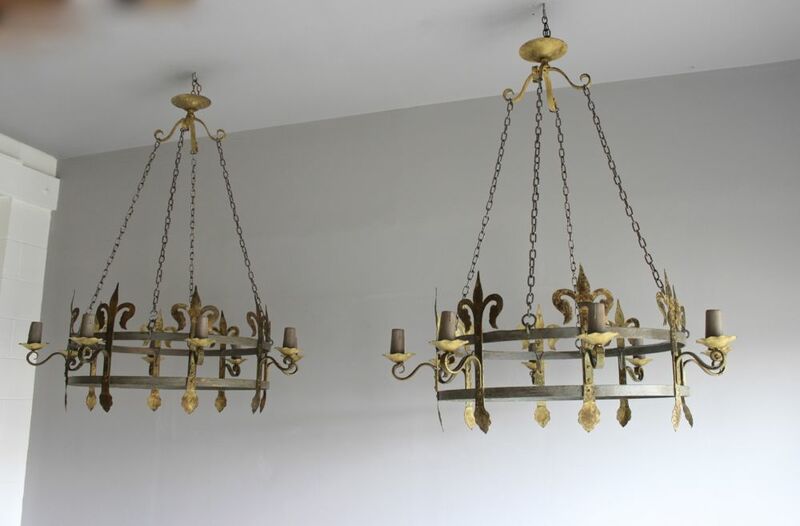 French circa 1930.